Shop gives you to the option to transfer all products that are in one Product Category to another. This is especially useful if you are changing around the way that your shop works, so that you don't have to edit each product individually. 3. Click Transfer at the top of the screen. 4. Select the Product Category that you wish to transfer products out of, and then the category that you wish to transfer into. 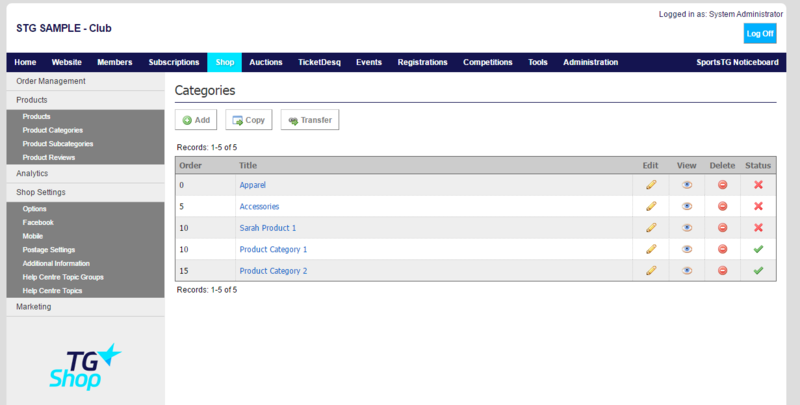 Note: Transferring Categories will transfer all items from one category into the other. If you wish to just transfer one or a few items, this should be done through the individual Product.